Mold, a common household problem, grows in damp, dark and humid areas. Mold comes in a wide array of colors, including black, brown, purple and green. 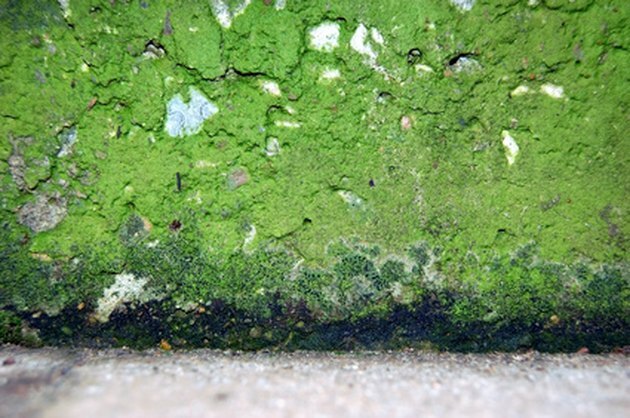 Green mold is typically found outside the home on structures, walkways and concrete. 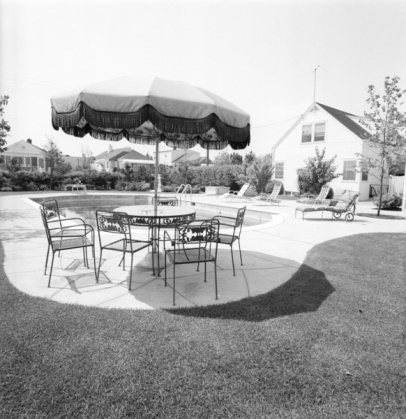 Green mold can create stains and discoloration on your concrete, making the area look old and dingy. Fortunately, it's possible to remove green mold with a few simple items. Green mold can quickly spread, covering large areas of concrete. Rinse the concrete with a water hose to remove any surface debris such as dirt, leaves or moss. Mix together 2 gallons of water with 1 cup of bleach in a 5-gallon bucket. Add two to three drops of liquid dish soap and mix with a wooden spoon. Alternatively, substitute 1 cup of trisodium phosphate for the bleach. Scrub the green mold off the concrete, using a brush broom saturated in the mixture. Scrub the concrete thoroughly, including the areas surrounding the green mold. Allow the mixture to sit undisturbed on the concrete for 15 minutes. Rinse the concrete with the water hose.